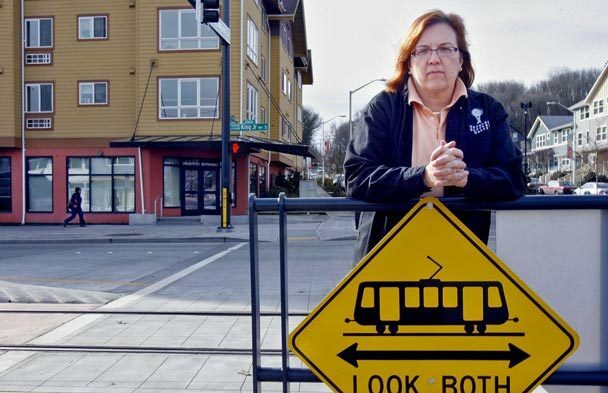 Longtime South Seattle community activist Pat Murakami concedes she was frustrated when she emailed subscribers of her crime-advisory list last week, alerting them that Seattle police Capt. John Hayes was leaving the department’s South Precinct. Hayes has been in the position for six months after replacing Assistant Chief Carmen Best, who ran the precinct for just over a month before she was promoted to another job. With Lt. Steve Strand now stepping in as acting captain, the precinct is on its seventh leader since 2006. Murakami said the revolving door of precinct leadership results in “poor policing,” especially in light of the recent shootings that have echoed in South Seattle neighborhoods. Murakami thinks precinct captains should be required to stay in their respective precincts for three to four years. She plans to share her frustrations with Mayor Ed Murray when she and other community members meet with him next week..